For the past ten years, the Tor Project has been providing the world with technology and research essential to protecting privacy and freedom of speech online. 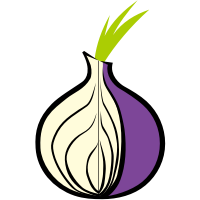 Tor’s community of millions of daily users and almost 10,000 relay and bridge operators has played an influential role in conflicts around the world including Egypt, Tunisia, Iran, and elsewhere. The software continues to provide worldwide best-in-class anonymity and censorship circumvention solutions. OTF’s previous support for Tor ensured the underlying technology remained resilient including the safety and usability for the packaging and interface of Tor Browser. 2016 support made it easier for third-party organizations to use and build support for Tor’s privacy and anonymizing technologies; empowered users with limited access to powerful devices and fast networks; improved the usability of Tor Browser and made it more attractive for non-technical and mainstream users; and developed and implemented defenses against online profiling and attacks.